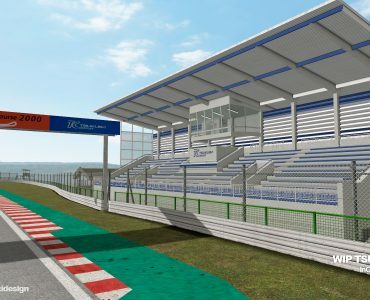 Team Enduracers’ Endurance Series SP3 mod for rFactor will be shown live tomorrow. 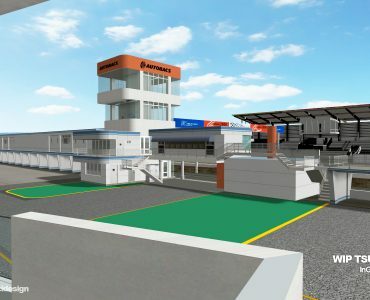 Last September, Team Enduracers announced that the Service Pack 3 of their massive Endurance Series mod will be released for rFactor before the team makes the jump to rF2. Now, the team is inviting everyone to take a look at the new version as SP3 of the popular mod will be live showcased on Paddock TV tomorrow, starting at 9 PM CET. For more info how to tune into the live stream, please follow this link. Afterwards, the team will be converting the mod to ISI’s new rFactor 2 simulation, adding another two cars to the lineup of vehicles. 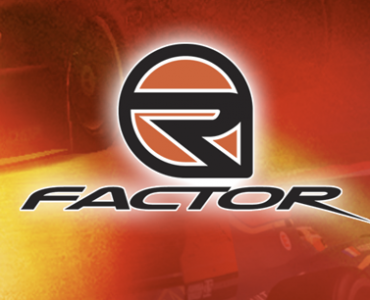 This rFactor 2 release will finish the mod’s long history as the team will then consider development of the mod complete. Nice video. Can’t wait for the rF2 versions. Anything these guys do for rF2 will be awesome. One of the greatest mods of all time. Helps keep rF1 on my hard drive. It is such a shame that this game is largely ignored now as the fan boys for the newer stuff go their way. Proto C is simply magnificent, but it’s hard to find people playing online and we all know Enduracers is actually a better mod than most of the games purporting to be new releases at the moment that are actually just WIP. I would rather pay for that than anything WMD or Kunos have released. It is finished, complete, well presented, challenging, varied and utterly professional. This crew deserve an awful lot of credit for keepng RF1 in the loop, and I only wish more fans stopped worrying about graphics, style and newness and concentrated on the best cheap sim money has ever bought you. did you have to use the term fan boys? its provoking. whats wrong with just “fans”? With the way a lot of the “fans” of those sims talk about their favourite sim, the use of “fan boys” is justified IMO. a lot? can you quanitfy it? no matter how many it’s not all! you cant just label everyone the same. it is never justified to generalise with insults. I’m not saying all. As I said, “a lot” of them, and no I cannot quantify exact numbers and percentages because I don’t want to waste my time going through every news article and treading through all the comments. and rf1 + subsequent mods can’t be considered fanboys when trash talking about the newer sims and only defending their previous sims? I encourage everyone to start donating to these modders. For me too this mod as a bundle is the best modern sim experience outhere. Only some RF2 cars because obvious improve and some other RF1 as Prototype C, Historix and DRM can compare to this. When they release in RF2 will be for sure a top 5 simexperience for the next 10 years. So anyone who doesn’t race in rF1 anymore is considered a fanboy? Interesting logic. What about GPL? If you aren’t racing in GPL anymore, are you considered a fanboy too? Yeah!! graphics is fashionable, true racing physics no. RF1, GTR2, GPL, RBR, GP4!!! To be fair, we waited for years and years and years for Prototype C. You can’t blame the devs as they did this in their spare time and basically knocked the ball out of the park with it when it almost miraculously surfaced at Christmas time. Problem is/was things have moved on and focus changes. That isn’t fanboyism, that’s our hobby evolving. I still regularly race GPL and NR2003 offline and, to a much, much lesser extent, rF1. One of the reasons for that imbalance is that AI in rF1 has never really been right. We now have a new crop of sims that are grabbing our attention for the right evolutionary reasons. Accusations of that making one a fanboy are, if I may say so, bordering on the hysterical. It’s hard to believe that anyone trying the AC Nordschleife dlc and 1.1.1 update couldn’t be absolutely captivated by it. You have tried it, haven’t you? Hit it square on the head so to say Chris, I agree with everything you say in your post. I still have most of my old sims installed, including rFactor and the ProtoC … I still play a few mods in rF and can still easily find myself stuck in it for hours on end. So you’re slamming the AI of rFactor1, which is also used in GSCE, yet you praise the new sims, one of which has worse AI, netcode and race/flag rules than rFactor1. The AI if rF1 was tweaked in GSCE, so you’re not comparing eggs with eggs there at all. Moreover, I wasn’t comparing rF1 with current gen sims, but merely explaining why I race GPL and NR2003 more. I sure do praise the new sims and, if you read my posts thoroughly, you will see that I fully acknowledge that AC – the title you’re doubtless referring to – still needs a lot of work, and I would agree. As a general comment, it’s a shame that your posts always seek to divide and conquer, because you’ve totally overlooked the fact that I praised an rF1 mod to the skies (“knocked it out of the park”) and instead picked the one constructive negative I outlined and used that as a stick to beat me with concerning your own beliefs. Please try to see the good in what people say a bit more. AFAIK, Reiza doesn’t have a source code license and didn’t touch any AI code in GSCE. They only enhance with plugins. Then perhaps you can explain why there is a chasm of difference between the two AI wise. I was convinced you don’t read things closely enough, now it’s confirmed. From the link you’ve just sent: “Usually, I only cover the AI in one or two sentences in my reviews. 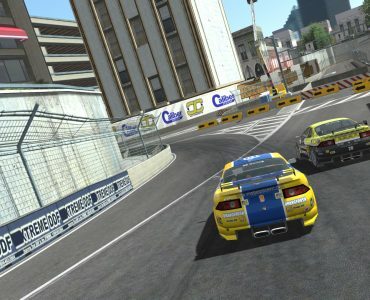 This time, the computer-controlled cars deserve their own paragraph as Reiza has put a great deal of optimization in the AI that very much pays off. rFactor chronically suffers from bad AI, caused by the fact that the tracks and cars are not optimized to work best with each other, only very few mods like VLN 2005 have put in the necessary effort to show off what gMotor 2’s AI engine can do. Reiza has done just that as racing the AI cars is great fun as the computer controlled cars race hard but fairly and rarely make mistakes. The AI cars run very consistent and quick lap times, it’s very common to see a full field of 34 cars being within 1 second of each other in terms of lap times. What are you comparing, mods or engines? I said it was tweaked, where did I mention code? See post below. You need to read posts more thoroughly before jumping to conclusions. Of course Reiza tweaked the AI, just like every other rFactor mod does, but then don’t blame the AI on rFactor itself. Blame the mods instead. If I still touched rFactor 1 I’d be racing GTPC the whole time. Well, it’ll certainly be worth booting up rFactor for this. Thanks! And I very much looking forward to you guys moving to rF2!! WOW! this is heavy stuff! cant wait for RF2 version! Will this update give us a full Me Mans grid I wonder? Thanks for that, thought it might be the case. It would be nice of them if they released a GSCx version. So there is no issue with unauthorized version for those of us without rFactor1 installed. Plus it will benefit from GSCe superior graphics. You know you can get those superior graphics in rFactor too right, with custom shaders. Also rFactor has some advantages, such as support for car part upgrades and support for 6 controllers. If you want to support the genre, you should get both GSCE and rFactor which is meant as a modding platform.